(HealthDay)—Physician assistants (PAs) perform more skin biopsies per case of skin cancer diagnosed and diagnose fewer melanomas in situ than dermatologists, according to a study published online April 18 in JAMA Dermatology. Alyce M. Anderson, Ph.D., from the University of Pittsburgh School of Medicine, and colleagues compared the diagnostic accuracy for skin cancer of PAs with that of dermatologists. Medical records were reviewed for 33,647 skin cancer screening examinations in 20,270 unique patients. The researchers found that the number needed to biopsy (NNB) to diagnose one case of skin cancer was 3.9 for PAs and 3.3 for dermatologists (P < 0.001). Per diagnosed melanoma, the NNB was 39.4 and 25.4 for PAs and dermatologists, respectively (P = 0.007). 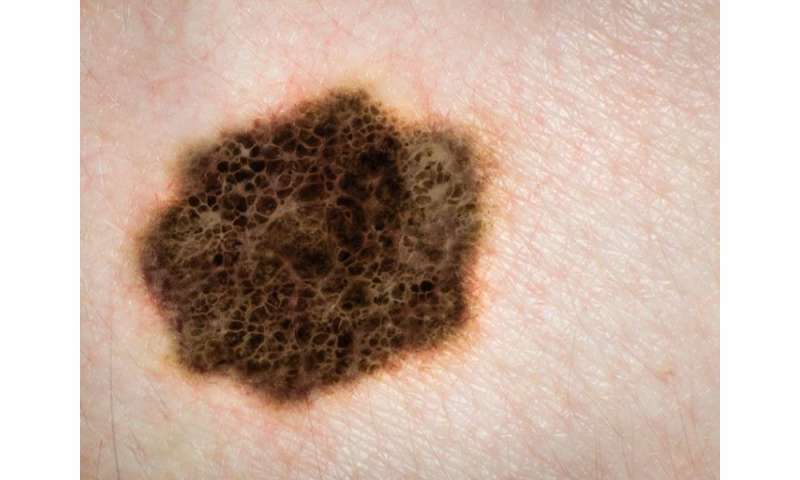 Compared with those screened by a dermatologist, patients screened by a PA were significantly less likely to be diagnosed with melanoma in situ (1.1 versus 1.8 percent of visits; P = 0.02); for invasive melanoma (0.7 versus 0.8 percent of visits; P = 0.83) and nonmelanoma skin cancer (6.1 versus 6.1 percent of visits; P = 0.98), the differences were not significant. "Although the availability of PAs may help increase access to care and reduce waiting times for appointments, these findings have important implications for the training, appropriate scope of practice, and supervision of PAs and other nonphysician practitioners in dermatology," the authors write.